Set amidst lush greenery and a cozy peaceful neighbourhood. Callidora Ville offers an oasis of luxury away from the hectic pace of city living. From lounging around the pool, to enjoying casual dining on your balcony, living in Callidora Ville is an affirmation that you savour serene moments and appreciate the finer things in life. Not just a fitting new addition to one of Singapore’s most charming residential districts, Callidora Ville’s proximity to a wide variety of shopping, entertainment and dining choices sums up its appeal to the discerning home buyer. Truly a unique combination of modern architecture and style, Callidora Ville is a gift of beauty you can’t resist. 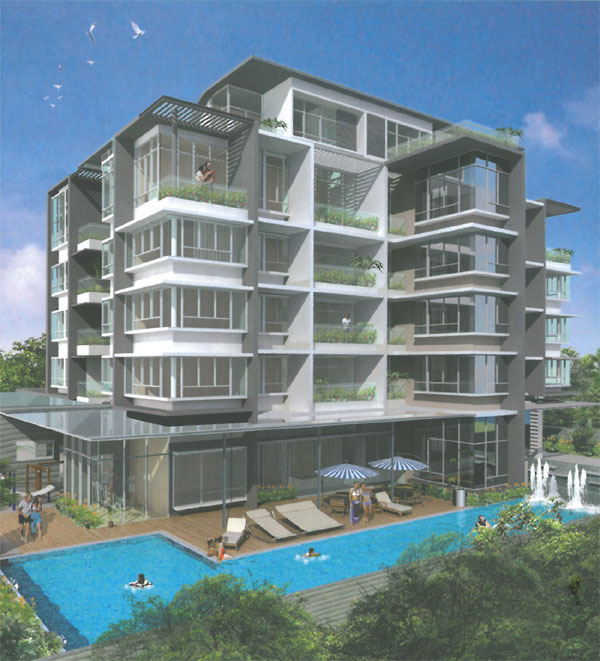 Callidora Ville is built and designed to offer the best of modern simplicity and function. Its defined spaces can accomodate any colour palette and interior design. Whether it is the family room, dining area or your bedroom retreat, you can be assured of living spaces that are a result of meticulous planning and unparalleled design. Each unit is fashioned with wide windows, letting in cool breeze and warm sunshine and giving the apartment a sense of space. Sleek, designer-style fittings and finishing add an air of sophistication to every well-designed space. Callidora Ville – it’s the place where you won’t just live, but also live it up!